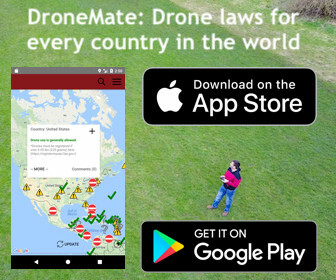 This map is now available in app form! WiFox is available on the App Store and Google Play. Finding an open wireless connection in many airports isn’t always easy, or possible, without a password (or local phone number which is stupid). The difficulty of getting online is why I asked you for and created an always-up-to-date list of airport wireless passwords around the world. You’ve been sending me your tips regularly and I post on the foXnoMad Facebook page when there’s a new password or airport added. 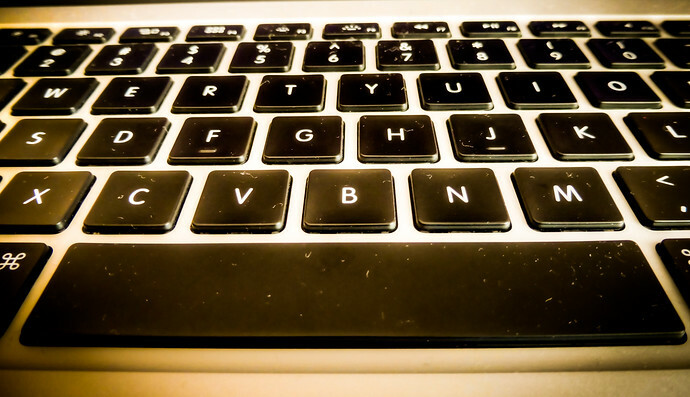 Recently, reader Zach made a great suggestion that will make it easier for you to search, add, and keep up with this airport wireless password list. You can also bookmark the map or this page to keep up with any future updates. This list becomes more useful the more of you who send me passwords you find at airports. If you get any lounge passwords or for other access points, please leave a comment on this post or email me directly. (Even if the airport is already listed; since they tend to change frequently, the newer the update the better.) I’ll update the map to help your fellow travelers stay connected when they’re hopping from airport to airport. When you are snagging some wifi from a lounge, extending your laptop’s wireless range lets you sit further away from the source, which might mean the difference between a cold floor or a cushy cafe seat. The biggest boost to your wifi range is getting one of these USB wireless antenna. Once you do get connected, prevent network time restrictions from cutting you off and be sure to share with any friends you may traveling with. Please don’t forget to send me any airport or lounge wireless passwords you come across from anywhere in the world! It will help me keep this list, plus the map, updated and help a lot of other travelers. Thanks, I’ll add it to the map now. Hi has anyone got the Wi-Fi for faro airport in Portugal?? Do you have the password of WiFi of Karachi and Bangkok Airport? I will be travelling to China next week and will come across on these two airports? Bangkok airport has free wifi for two hours, it’ll just ask for a name and passport number. Got a tip from an airline clerk – just use any name and number! Wasn’t able to test if switching to a different set could extend wifi use on the same device since I didn’t stay long enough, but worth a shot. Jomo Kenyatta International Airport, Nairobi, Kenya. Thanks for the update! I’ve added it to the map now. Dubai Airport, I cannot remember the exact name of the network, but it is quite straight forwards since it is the “Emirates Lounge” wifi. Has anybody an idea about Free WiFi in Jakarta airport? I don´t know who told you about Amsterdam Airport that it was only 1 hour free wifi, but there is throughout the entire airport 24/7 free wifi for everyone;) SInce years already..
Can you confirm the date of this? It looks like it was updated according to WiFox users this week. What about putting this map on github? That sounds like a much better way to collaborate than comments on a blog post! Banjul airport network is not existent anymore. Was just there and the shown network didn’t show up anywhere throughout the airport. There’s a new update now with another network for that airport, hopefully it helps you if you fly through Banjul again. Thanks for the update! I’ll update the map now. Great tip, I’ll add them now. Thanks! Thank you very much, I’ll add it to the map above as well as the WiFox app. Do you know the network name? In Lima, Peru if you go to the second floor to starbucks, they have free wifi if you buy anything. I just downloaded (and paid for) the app, it crashed instantly. Please update to the latest version (4.0) of WiFox, it resolves an issue which caused the app to crash on some iOS devices. Free wi-fi, but really slow. Thanks! Do you happen to know the network name? Athens Eleftherios Venizelos => Don’t even try if on cell/tablet. Works ok with laptops. Hi Anil. Great idea and effort put into this. Really helpful! However, for Cyprus you have the WiFi for ercan. Do you realise that this is an airport operating out of an illegally owned, internationally unrecognised, occupied part of the island? They haven’t – but when someone does they’ll be added. Hi, great website! Inside the Istanbul Ataturk Airport there is the Tav Airport Hotel (network name: TAVAIRPORTHOTEL), the password is: airporthotel2018. Thank you! Those updates have been added to the map now. Thank you very much, I’ve updated the map above! Seoul Incheon – Asiana Airlines – “OZ_Lounge” Access Point – 0327441234 is the password. This map is more straightforward and easier to manage from my perspective. Thanks, this is super helpful! Always best case scenario, sweet! Thanks! I’ll add it now. Airport wifi has really improved in the last few years. I just always use a VPN when connecting through public wifi spots – doesn’t matter if it’s airport or Star Bucks down the road. Copenhagen and Budapaest have free wifi all round. Cologne/Bonn has free wifi but it doesn’t reach everywhere. If you’re in the domestic/EU terminal, you’ve gotta be standing close to the security check to reach the connection. Oulu and Helsinki both have free wifi. Thanks, I’ll update the map now. Oslo Gardermoen has two hours free wifi as long as you provide an email. They also have an unlimited Eduroam network that works with university logins from all over the world. In Kuala Lumpur (Klia2) Airport, you can find free Wifi with no password in the passenger terminals. 3 hours limited. Same requirement applies by law to all of the Russia’s free WiFi networks at public locations, and most of them comply by now. MOW VNK/VKO (Moscow, Vnukovo) Terminal A (VKO-WiFi-Free), (MOW SVO) Sheremetevo (Wi-Fi Sheremetyevo Free) and Aeroexpress schuttle train (Aeroexpress_Free) all work this way now. Asheville, NC, USA — Free wifi. Thank you! I’ve added this to the map and WiFox app now. Luxembourg Airport Findel has a free unlimited internet. Riga International Airport: Free wi-fi, weak signal downstairs. Singapore Chang-I: Free internet at the computer lounge, but it was 8 years ago. It may change now. Free WiFi at Changi Airport Singapore. Approach the help desk, use one of the touch screen consoles, or enter your roaming phone number in the WiFi Network. Limited to three hours unless you download a Changi Airport App. Free WiFi at Mactan Airport Cebu Philippines. Just log in using facebook to acess free WiFi. Free wireless throughout entire airport. Name and email required. In ZRH you can get 2 hours of free WiFi either via SMS, or if you don’t have roaming, via one of the boarding pass scanners in the airport. After that it’s very expensive, but it resets after 5h. Airports in Bolivia all have free WiFi. LPB, VVI, CBB, TDD are the ones I know. Doesn’t always work perfectly, but it is free. LIM has 10 minutes free per device. You can just register with a bogus name and email, they don’t send any verification link. GRU has 30 minutes of free WiFi throughout the airport via boingo. There is a Starbucks in T2 above the departure level that has unlimited WiFi. You can register on their website and use it from the nearby seats. The password in the Star Alliance lounge airside in T3 (above the duty free) keeps changing their password. DXB has free WiFi. The lounge passwords changed periodically when I went through there frequently. SIN has 3 hours’ free WiFi, but you need to register. Either with a local SIM or via one of the kiosks. They need your details for legal reasons, but it’s free. Do you have the network names for the Bolivian airports? ENTEL-LPZ, ENTEL-CBBA, ENTEL-SCZ for La Paz, Cochabamba and Santa Cruz. Can’t remember the others. Helsinki (HEL) is called Free WI-FI – Helsinki Airport. Athens airport, Marseille airport,Paris airport, Landvetter airport (Gothenburg, Sweden), Brussels airport (registration needed), all have free unlimited internet. The services of the “ATH Free Wi-Fi” portal are provided free of charge on a 24h basis. By clicking the “Connect to the Internet” banner, you get free unlimited access to the Internet for 45 minute sessions. I found that if I give my email instead of social media name to the ATH-FreeWifi they send me an email with a link. I didn’t check my email then, so they restricted the 45 min to 10 min of “open your emal and confirm”, but there is no limit in reconnecting through the same portal several times with the same email address. Athens Greece, Eleftherios Venizelos airport has free wifi access. You just click like on fb when you first connect and done. Hey, the password of Avianca vip lounge in El Dorado (Bogota, colombia) and Rafel Nunez (Cartagena, colombia) airport is: Movistaru. Not free but only $1.99. No ads, in-app purchases, and wifi information verified and updated in real-time for life. A lot, lot less than an hour at any airport that charges for wireless. The Bari Karol Wojtila airport (Bari) has free unlimited wifi. Porto (sa carneiro) Portugal has a free wifi for 1 hour, just need a email address. London Gatwick : 90 min free wifi. Register, get 45 min and then reload the page for another 45 min. Surprisingly you can reload the page as many times as you want and keep getting 45 min each time..
Caracas has a free unlimited internet. Free open WiFi, available throughout the airport. Love this Idea so here is my contribution. I was in Munich’s airport a few weeks ago and there was a free wi-fi network pretty much all over the airport. You only have to register and you are good to go. Free WiFi “Telekom” for 60 minutes across all terminals. After that you can buy more if you want. Waiting on more detailed information. Thanks! Updates (and details) are being added all the time! And there are more specifics in the WiFox app as well. Thanks, do you know the network name? Vietnam, Hanoi: Noibai International Airport. Free wifi. Network name: NoiBai Airport Free Wi-Fi; Login requires. Vietnam, Danang city: Da Nang International Airport. Free wifi. (and free wifi almost all public area in the city. Helsinki-Vantaa, Oulu, Turku, Vaasa, Kittilä, Joensuu, Ivalo, Kokkola-Pietarsaari, Kuusamo, Kajaani, Kemi-Tornio, Maarianhamina, Pori, Enontekiö, Savonlinna, Jyväskylä, Kuopio, Rovaniemi, Tampere-Pirkkala. Thanks, do you know any of the network names? Poland, Gdansk – Lech Walesa Airport: free wifi, registration required. Do you happen to know the network name? It’s a request I’m getting a lot! I will keep this very much in mind for a future release. Which network is this for? Salzburg (SZG/LOWS) has free WiFi. Hi Anil, it would be nice if you could get some passwords for India (as the free ones are really poor). Many thanks. There should be some updates very soon! Keep trying all of them, usually they don’t work very well. The London Cafe branch the furthest right looking from the runway into the terminal usually has the best functioning network. I just went to Tokyo Narita this week end and there is a free wifi available without any required password. Passengers can access it by going through a web page (before using any app) in order to turn it on (accept the conditions of use). Thanks for checking, go ahead! Edinburgh Airport (Scotland) has free open WiFi through a captive portal with a 2-hour limit. Do you know the network names? Great Job. Here is my contribution. Halo Anil, here are some list that I recorded on my Mac wifi connection. Thanks for sharing! Feel free to add any details as you come across them, thanks! There are a few but the map is crowd-sourced so as soon as people travel through Russia and share the passwords, they’ll be there! Dear Anil, all airports in Portugal have free wi-fi, the user just must proceed with the free registration (one registration will be good for all airportos of the country): Lisbon, Porto, Ponta Delgada, Faro, Funchal. Thanks very much! I’ll add this to the map and WiFox app now. Warsaw Modlin (WMI) is wrong. The SSID mentioned (CHOPIN-AIRPORT) is actually used at Warsaw Chopin (WAW) airport. Thanks, I’ll update the information now. Note: Don’t mess it up with KLIA2, both are two different airports even though nearby. Athens,Greece international airport “El. Venizelos” provides free Wi-Fi. The “ATH Free Wi-Fi” Service is available within the Τerminal of the Athens International Airport and is offered for FREE. Karachi Jinnah International (KHI) has free Wifi for 3 hours. Any idea why the map isn’t showing for me? That’s odd, has the issue resolved itself? Sabiha Gokcen airport in Istanbul, Turkey: go to gate 201 at the international terminal and seat farthest possible – you’ll then have access to open VIPInternet network (VIP lounge is just below this area). Belfast international Airport is free, register by email and connection for 12 hours. Thanks for the tip! I’ll update the map. Thanks! Great idea will keep you updated on passwords on my travels. I’m trying to get rid of the map that appears on maps that I do not own on Google Maps, but I keep seeing them. Please tell me how to delete it. Thank you, I’ll update the map now. The Airport offers WLAN access in the passenger terminal in cooperation with The Cloud. For the first 30 minutes the WLAN can be used free of charge. Trujillo FAP aitport in Peru: altomayo cafe with wifi name -am- and the password: 9876543211 (two ones at the end). FIGURED OUT THE PHX ADMIRALS CLUB PASSWORD SINCE THEY CHANGED IT ON MARCH 28. Thanks for the update, I’ll be sure to add to the map and WiFox app. Thanks! I’ve added the update. Ölücülükte çığır açmışsın hayran kaldım 🙂 Şaka bir yana başarılarının devamını dilerim. Önümüzdeki hafta batı Afrika listesini göndericem buraya. Selamlar. Çok teşekkürler ve iyi yolculuklar ! Cleveland Hopkins International Airport has free-WiFi, no password needed. I’ll update them as soon as possible! New update for Wifi at Tocumen International Airport (PTY). Wifi is restricted to only 30 minutes for free use. Thanks! I’ll update the entry now. Hi Anil, that is an incredible idea ! Even if most of places got those free WiFi access nowadays it’s quiet useful to know how does it work before or during a journey. Here some information about Free WiFi for our 2 airports in Reunion Island, Indian Ocean, French department oversea. Both of them use “ZotSpot” which is a partner to access to WiFi. Like everywhere (at least due to my experiences as a traveler) you need to sign up and to tick “Conditions and Therms”. At the moment I have no network name. They just say to open your browser or your web application and a “ZotSpot” page will automatically open. Then just follow steps to be connected. Thanks very much Joe. It’s good to know if there will be free wifi and many times those terms and conditions are asking for a lot. (You’d be surprised.) Thanks again for contributing to the map – happy travels! Any airport wifis in Costa Rica ?? Antalia doesn’t work for now. Tested just today. Take Off sid. Password doesn’t work. Thanks, I’ll double check and update accordingly. Password: None (Connect, Open browser and go to any website to direct to wifi sign in page. Then press FREE wifi. Androids and iOS will have notification that says sign in to wifi) about 60 min. Thanks, I’ve added it to the map. Free wi-fi. Must connect to the ‘Fred-e-zone’ and accept the terms and conditions. Check the map, it’s there! In London Gatwick, once you’re past security, the Jack Willis store has free wifi, it’s JW_Guest. No code needed. To confirm, Plaza_Premium_lounge is the network name? WI-FI free throughout the airport. Departure, Arrival, Lounge and sum parts of the surrounding area. I believe there’s an App for that, or it should be…This is hard to keep upated. Thanks, I’ll update the map! Is there a password for the Cleveland Hopkins International Airport in Cleveland, Ohio? I think your idea is great, but has one issue I would like to comment. If you are searching for WIFI passwords, usually means you dont have internet access. So how are you going to figure out which is the password before you get the internet? Map sites look and feel nice, but it might be an overkill when it comes to practicality. If you ask me, what would be the most efficient way to do this, would be to create a text list ordered alphabetically by country / state / city / airport. Such text list can be hosted online and worked trough a mailing list to which people interested in its contents and keeping them updated can subscribe to. The list, since its just a pdf, can automatically be sent to the members each time its updated if they would activate such feature (for example, if I was on the go I would activate it and get a fresh list everytime I get my emails). The list is then offline. Other options are to create apps for different devices, which is the kind of thing to do these days, but I think it might be a bit over complicated and excluding those without fancy tech. Email lists are accessible almost to everybody, and text can be even printed if somebody feels like 20th century. Thank you very much, I’ll add it to the map now! Changi Airport in Singapore has wifi available. No password needed. Just need to register the phone number. thx! Free wifi throughout- unlimited time. 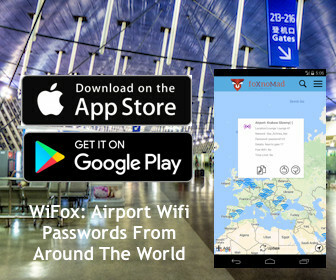 Riga Airport (RIX) – Free Wi-Fi (Network name: Lattelecom-free). It’s time-unlimited, but you have to watch ads for 15 seconds. Geneva and Zurich (Switzerland) 1 hour of free access. Gracias, muy buen trabajo… Lástima que no hay suficientes de Sur América, y es allí donde he tenido la oportunidad de viajar. Sin embargo esa falta no demerita esta iniciativa. Muy bien. Thank you! More and more are being added and verified everyday, there is a big expansion, filling up the map more and more. Ninoy Aquino International Airport (I believe on all 4 terminals). Initially 100% free, with no time limit. zero time limit expires on October 10. They just rolled this out a week ago. What happens after the 10th? According to the news, the zero time limit for Smart WiFi expires on October 10th. After which, the user will have a 1-hour cap per device for free. Beyond that, I think you’ll have to pay for the extra access? Not really sure what will happen on the 10th. Brussels Airport: Unlimited free access to the internet is available for all. Sign up using your Facebook or Google+ account or fill in your data. WiFox’ta MED var, bu hafta büyük ihtimal başkalarıda eklenecek. It would be so cool if app would automatically upload info into the wifi settings depending on where you are, dont you think? Thanks for this extensive info. Confirming that all passwords for Istanbul airport provided by you are still the same as of 9th October 2016. Hamburg Airport in Germany has 1 hour free wife access. No password, just connect to HAM AIRPORT FREE WIFI. Gibraltar Airport (GIB) – free wifi name: GIB_PUBLIC. London City Airport (LCY) – free WiFi at the airport. It is possible to pre-register for the WiFi on the airport’s website. Manchester Airport (MAN) – 60 minutes free: in main area called ‘spectrum’ or ‘MAG Airports WiFi’. BA lounge – look for an SSID called ‘BA lounge WiFi’. 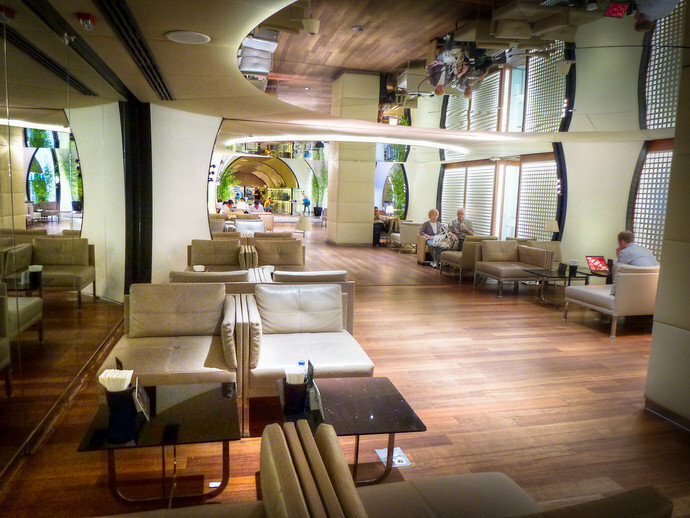 Servisair lounge – look for an SSID called ‘Servisair’. Bermuda Airport – Free WiFi available. BTA9 and pw STARWARS not working anymore. Thank you very much, I’ll update the map now. You can add Geneva airport (GVA), 1 free hour. VIP Lounge at Los Cabos International Airport (SJD): password is “loscabos”, without quotes. There are two network SSIDs, one for each floor. Main floor is called ‘VIP LOUNGE ADMIN’, upstairs is called something like ‘VIP FLOOR 2’.